A quick refresher: KIP allowed the 2011 Water Infrastructure Agreement to lapse Dec. 31, 2014. Then KIP VP, Brian McMahon along with his spokesperson David Godfrey and landowner Peter Jacques managed to get a meeting with then Minister Peter Fassbender crying the blues that the then board of UBID refused to extend the expired agreement. They had obtained signatures from landowners on the petition below. Minister Fassbender appointed a facilitator in January 2016, even though our local government was running smoothly, to get the parties back to the negotiating table. Jacques and Loxam campaigned on the promise KIP had the funds available and landowners did not want to pay with ratepayer tax dollars. Jacques and Loxam were elected in April 2016. Within weeks of being elected and claiming they would abide by the Facilitator, they went behind the board’s back and the Facilitator’s and negotiated a deal with McMahon. 3 trustees resigned and a by election was held in Oct. 2016 adding another KIP supporter who along with Jacques and Loxam voted to extend the expired water agreement at their first meeting in Nov. 2016 in spite of the remaining 2 trustees requesting a legal opinion be obtained before passing the motion to extend the expired WIA. NOTE: these 3 trustees had zero experience at the time of the vote. When it was sent to UBID’s legal counsel, they were advised in writing that UBID could not legally extend an expired agreement. The Facilitator negotiated deal with KIP was thrown out because the wording didn’t comply with the Master Development Agreement with the CVRD. The Ministry stepped in when the admin and a couple of trustees didn’t want to send a letter to the CVRD requesting information as to the pros and cons of becoming a service area of the CVRD. Trustee Kaljur put forth a motion in Nov. 2017 to send a letter to the CVRD making the request. The motion passed with the Chair stating he could see no harm in obtaining information. This motion has never been acted upon because after the Nov. 2017 meeting the Chair changed his mind and preventing the motion from going forward. It appears the admin contacted the Ministry to obtain a letter directing the district to concentrate on the water filtration system going before looking into the pros and cons of joining the CVRD. Why did the Ministry step in and prevent the electors from access to this very important information? We need to know what is best for our community. We cannot obtain grants and if we were a service area, the costs we are facing would be greatly reduced as it would give us access to funds. MLA Scott Fraser advised at an All Candidates Meeting in 2018 that we can apply even if we are in the middle of a project. What has made this even more worrying is that some trustees have obviously had secret meetings because in Jan. 2017 the admin talked about 3 options: remaining an improvement district, becoming a service area of the CVRD or becoming a municipality. There was never any mention by the trustees about a municipality and suddenly this option has cropped up. We do not have the tax base to become a municipality to cover all the responsibilities and related costs. Long story short – the Ministry steps in when they feel like it. 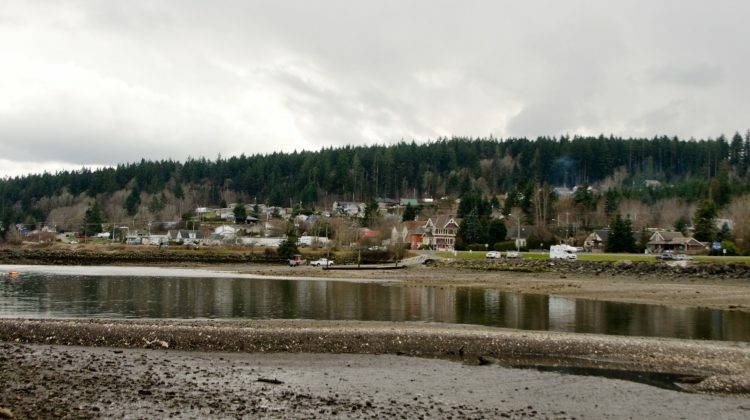 UNION BAY, B.C- The provincial government won’t be taking any action in Union Bay. In recent days, four trustees of the district’s elected board have apologized to their fifth board member, Susanna Kaljur, who was “suspended” earlier in 2019. Kaljur had threatened legal action earlier this week over her suspension, and other actions taken by the board. In a letter, the four trustees have said they were told by the province’s Ministry of Municipal Affairs and Housing that there are no provisions under the Local Government Act allowing the board to suspend an elected trustee from office. In the wake of Kaljur’s first letter, the newsroom reached out to the municipal affairs ministry to get clarity what the board can do and what they can’t do. Asked if the board had any legal authourity to remove or suspend another trustee board member, Municipal Affairs said the Local Government Act did not include specific provisions regarding the suspension of improvement district trustees. They also said the province couldn’t provide legal advice to an improvement district, when asked if they planned to instruct the board to take different action or allow Kaljur to return. They were unaware of any previous instances of improvement district trustees taking legal action against their fellow trustees. In the wake of the apology, Kaljur has indicated that it was only one of the things she was looking for. “There are a number of issues which the board has not addressed adequately, which may result in further legal action,” she said, in a written statement. Kaljur is also questioning the validity of any decisions that were made at UBID board meetings during her suspension. Asked about the validity of actions taken by the district board in the last two months, during Kaljur’s suspension, the ministry supplied the following. “In regards to decisions that were made by the UBID in the last two months, this is under the realm of legal advice and the province cannot provide this,” read the statement. Asked to clarify what they meant, the ministry again stated that they or any other ministry cannot provide legal advice to improvement districts or local governments. Today was the deadline for the other demands in Kaljur’s letter, which included an apology from board chair Ted Haraldson. The newsroom reached out to Haraldson for comment today but did not hear back. However, he did speak to the Comox Valley Record, saying that the board had complied with all the demands it deems reasonable. The same apology letter from the board will not be sent to landowners in Union Bay by mail, according to Haraldson’s comments. 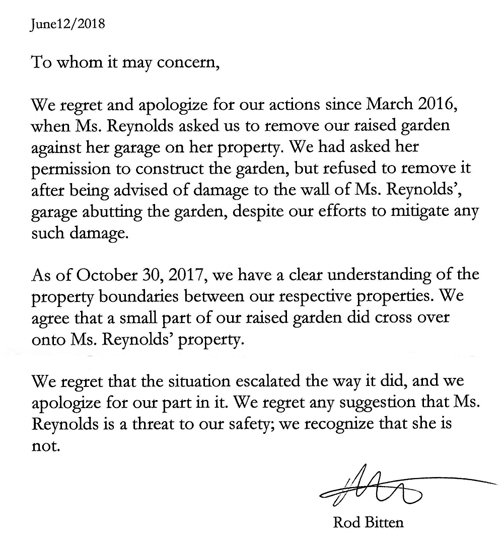 “The apology has gone out on our website, [which] goes to all the landowners,” said Haroldson, speaking to the paper. Haraldson also told the paper that the change of dates for the election and nomination period was a “strictly administrational” change, in order to fix an error in the original posting and comply with Elections BC. “Those election dates were set wrong the previous election, and that’s why we are [changing them],” he said, to the paper. The upcoming election and annual general meeting are the following. Haraldson also saw no reason for an apology, saying there was no defamation of character. The next Union Bay board meeting will be held on Thursday, February 21st, at the Union Bay Hall. Previous Post Ted Haraldson – protesting Jan. 2011 lock out of electorate by UBID board. Now he pulls the same crap! Next Post Are you going to vote for trustees who don’t believe in accountability/transparency? Why are they ignoring their own bylaw 263?